Tristram Hunt and ‘Two Nation’ Labour. Vocational education is supposed to improve work and employment skills, but many of the vocational courses developed in schools and colleges after the collapse of industrial apprenticeships in the 1970s have not offered real opportunities for young people in the labour market. Instead, a succession of vocational courses and qualifications were introduced, lasted a few years and were then discarded in favour of new ones. Some of these were high profile youth training schemes with new qualifications, such as the General National Vocational Qualifications (GNVQs) that claimed parity of esteem with A-levels. Some were expensive white elephants like the specialist diplomas championed by New Labour. The most durable were the BTEC awards. They all aimed to provide new types of ‘soft skills’ needed across the growing service sector. Even though vocational qualifications offered at Advanced level provided opportunities to enter higher education, academic qualifications continued to represent ‘powerful knowledge’ in terms of the jobs market and access to more prestigious universities. Schools and colleges in the 1990s were encouraged by Lord Dearing’s pathways approach to his review of the National Curriculum to use vocational qualifications for ‘non-academic’ students. The more student-friendly pedagogy and less hierarchical classroom relationships involved in these new qualifications were said to reflect the modern workplace but also provided ways for teachers and lecturers to gentle these students along a low status route. However, the repackaging of vocational qualifications as ‘applied’ learning – part of New Labour’s Curriculum 2000 proposals – could not widen the student base nor gather greater employer support. As a result, many teachers and educationalists continued to be suspicious of the pathways approach, seeing it as reflecting the divisions of the 1944 Act and contradicting the comprehensive principle of an inclusive and broadly balanced curriculum. More recently, the standing of vocational qualifications was reduced further as some schools entered entire cohorts for vocational ‘equivalents’ to improve their standing in GCSE league tables. On coming to office, Michael Gove commissioned Professor Alison Wolf to review vocational learning. Wolf argued that students put on vocational pathways at 14 were ‘short-changed’ in the labour market because of the poor quality and low value of these courses. In response, Gove streamlined the number of vocational courses available at 14 and 16, but also demanded more ‘rigour’. By this he meant that to qualify as one of the eight subjects on which new school league tables would be formulated, a vocational qualification had to follow certain criteria, could not count as more than one GCSE and had to have more external assessment. But Gove’s ‘grammar school education for all’ approach was rejected by Lord Baker, the creator of City Technology Colleges in the 1980s. Baker argued for a continuation of the Dearing approach and reintroduced University Technology Colleges to provide a vocational/technical specialism sometimes linked to a particular company or university. Baker’s approach has been adopted by Labour. 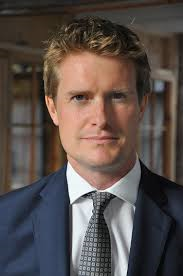 The Adonis Review has called for 100 UTCs to be established by 2020 (http://feweek.co.uk/wp-content/uploads/2014/06/Adonis-Report-Final-Doc-1-July-14.pdf), while Shadow Education Minister, Tristram Hunt, used his speech to the Microsoft Foundation to attack the ‘backwardness’ of Gove’s deluded grammar schools for all approach. He also reaffirmed the Party’s commitment to the Tech-Bacc, agreeing with Lord Baker that the main problem with the 1944 Act was the underdevelopment of technical schools which put the UK at a disadvantage in ‘the global skills race’ (http://press.labour.org.uk/post/95085249764/the-choice-in-education-70-years-of-the-butler). Hunt’s ‘Two Nation Labour’ approach also proposes the rebranding of further education colleges as ‘Institutes of Technical Education’ for those school leavers who have failed on the academic route and Labour has already announced new Technical Degrees (www.radicaled.wordpress.com/2014/07/14/labours-new-technical-degrees/) involving part-time/ day release study – and as with the current two-year foundation degrees likely to be be delivered through the Further Education sector. Labour’s desire to create a stronger ‘technician level’ route into employment is also reflected in its policies for reforming apprenticeships, where the Adonis Review correctly identifies many of their shortcomings. Firstly, apprenticeships are invariably low-level with minimal training, still predominantly for adults and mainly in low-paid service sectors like health and social care; customer service; and hospitality & catering. The Review also correctly calls for the public, rather than the private sector to play a leading role in apprenticeship creation. Adonis, like Lord Baker, is an admirer of the success of German technical education and apprenticeships and his Review emphasises the need for a more general industrial strategy. But given the continued slide to a low-wage, economy with ‘lousy’ not ‘lovely’ jobs (http://eprints.lse.ac.uk/20002/1/Lousy_and_Lovely_Jobs_the_Rising_Polarization_of_Work_in_Britain.pdf), the sort of measures proposed are far too little, too late and well short of those implemented in post-war Germany! Adonis and Labour also overestimate the extent to which the UK’s industrial and technological demise can be arrested by the creation of ‘high quality’ vocational education and training. This would need to be linked to a massive increase of (public) investment and rigorous economic planning, hardly compatible with a UK style free market and ‘flexible’ economy. In any case, the huge rise in the number of graduates means that they, rather than school leavers or apprentices, increasingly fill ‘non-graduate’ jobs. Surveys report between a third to half of new graduates being pushed down into jobs they are over-qualified for. Half a million applicants to higher education this year (a record number) shows that, despite debts for exorbitant fees to pay more for less at overcrowded universities, young people realise that a degree offers their best chance of the secure the professional employment they crave. As a result, rather than trying to rebuild a vocational route, it would be better to provide a good general education for everybody with a school-leaving certificate at 18 providing entitlement to different types of learning, including learning about work as well as to work, plus major reforms to the delivery and assessment of ‘academic’ education to make it more relevant and accessible to all.